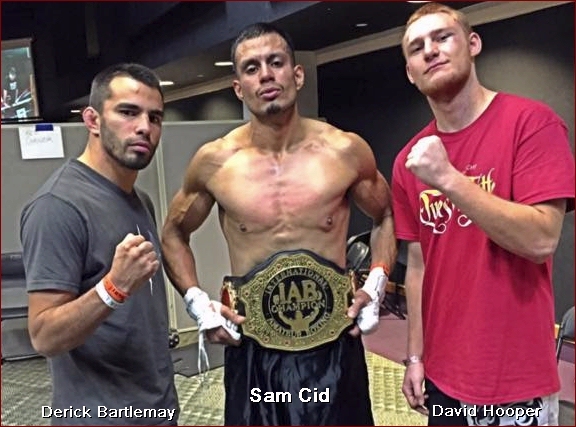 defeated *David Hooper (Salem, Oregon, USA, 0-1, 178.6, 6'1", 5-5-96, Derick Bartlemay, (503) 999-6408) by TKO at :50 seconds of round 1. David Hooper has been issued a 60 day Medical Training Suspension and 60 day Competition Medical Suspension until January 15th, 2015.
defeated *Arnold Berber (Crescent, City, California, USA, 1-2, 174.2, 6'2", 10-15-91, Warrior MMA, (707) 218-4669) by TKO at 1:50 of round 2. Arnold Berber has been issued a 30 day Medical Training Suspension and 45 day Competition Medical Suspension until December 31st, 2014.
defeated *Jesse Camacho (Payette, Idaho, USA, 3-2, 188.8, 5'8", 3-14-75, Independent, (208) 830-5538) by TKO (Injury - Bicep Rupture) during the break of round 1 & 2. Jesse Camacho has been issued a 180 day Medical Training Suspension and 180 day Competition Medical Suspension until May 16th, 2015.
defeated *George Wilson (Bridgeville, California, USA, 0-1, 228.6, 6'1", 4-12-79, Independent, (707) 599-3074) by Injury stoppage during break of round 1 & 2 - Wilson claimed he could not see. George Wilson has been issued a 60 day Medical Training Suspension and 60 day Competition Medical Suspension until January 15th, 2015.
defeated *Richard Morrison (Rio Dell, California, USA, 0-2, 158.2, 5'9", 10-11-92, Independent, (707) 362-5150) by unanimous decision, 29-28 on all 3 judges cards. defeated *Tyler Durant (Eureka, California, USA, 0-1, 154.6, 5'9", 7-12-89, Independent, (707) 273-0972) by TKO at 1:48 of round 2. Tyler Durant has been issued a 30 day Medical Training Suspension and 45 day Competition Medical Suspension until December 31st, 2014. VS *Christian Holliday (White City, Oregon, USA, 0-2, 176, 6'2", 7-5-86, Roque Combat Academy, (541) 531-2851) by KO at :24 seconds of round 1. Christian Holliday has been issued an indefinite Medical Suspension and must be cleared by a Neurologist with the ISCF/IKF before allowed to fight again. 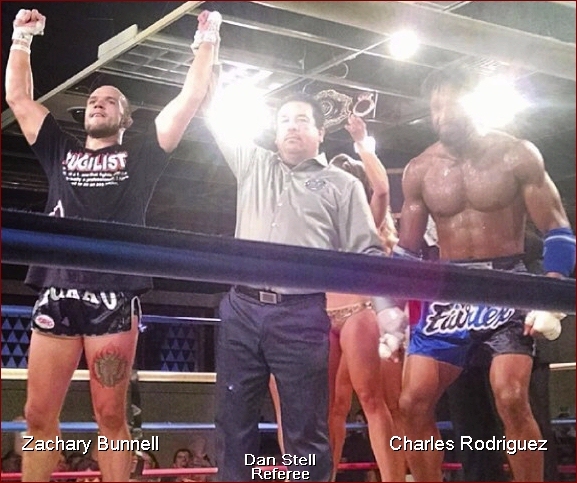 defeated *Matt Chadwick (Crescent City, California, USA, 3-2, AB: 2-2, 154.8, 5'11", 11-14-87, Warrior MMA, (707) 218-4669) by unanimous decision, 50-45 on all 3 judges cards. defeated *Jimi Stipe Jr. (James Stipe, Fort Bragg, California, USA, 2-1, MMA: 7-1, 154, 5'9", 11-25-81, Joel Jordon, (707) 813-7691) by TKO at 1:19 of round 2. Jimi Stipe Jr. has been issued a 30 day Medical Training Suspension and 45 day Competition Medical Suspension until December 31st, 2014. 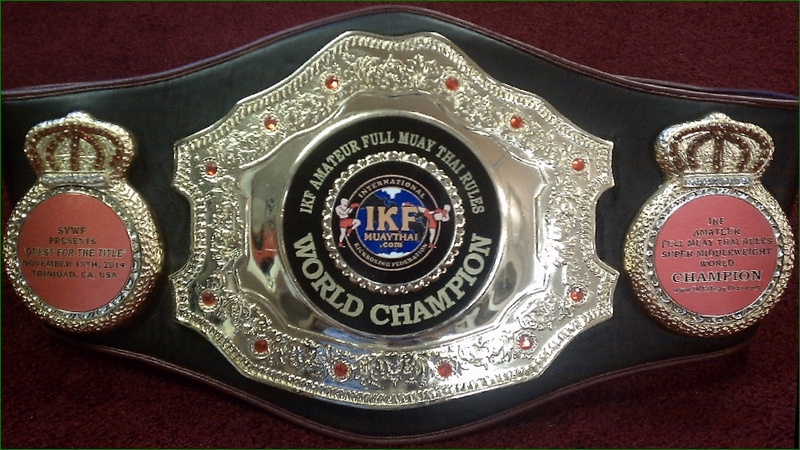 (**) IKF Traditional Muay Thai "FULL" rules were used which included Elbows (Padded) and Knees to the Head. Carlos Thompson couldn't keep his commitment and NO SHOWED leaving Dustin Collins without an opponent. Dustin Collins weighed in at 140.6. Pomo Saulque couldn't keep his commitment and NO SHOWED leaving David Little without an opponent. David Little weighed in at 302.6. Sophal Nhep's trainer and other fighters showed up, but Nhep couldn't keep his commitment and NO SHOWED leaving Gabriel David without an opponent. Gabriel David weighed in at 130.4. This bout was scratched a day or two prior to weigh-ins. 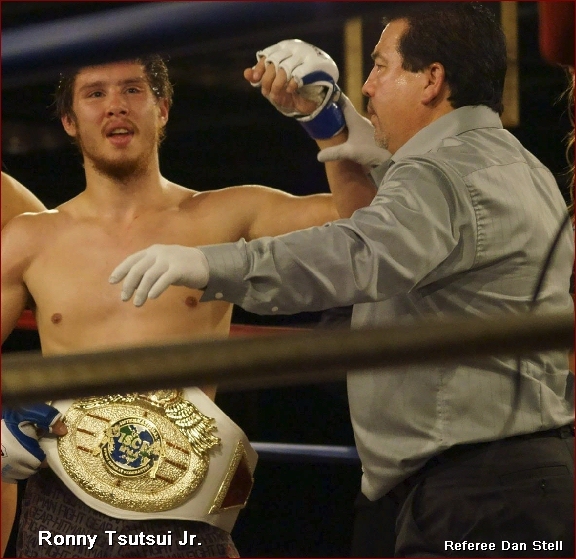 BOTH FIGHTERS NEED TO HAVE THEIR AMATEUR FIGHTER CONFIRMATION FORM: CLICK HERE. 11-12-14: UNLESS Jesse Camacho Can Send To IAB BY WEDNESDAY, NOV 12th at 5PM, An IAB PAST BOUT HISTORY /EXPERIENCE FORM - CLICK HERE. November 7, 2014: IAB HAS RECEIVED A PAST BOUT HISTORY FORM FROM Robert Muro. BOTH FIGHTERS NEED TO HAVE FULL PHYSICAL: CLICK HERE. 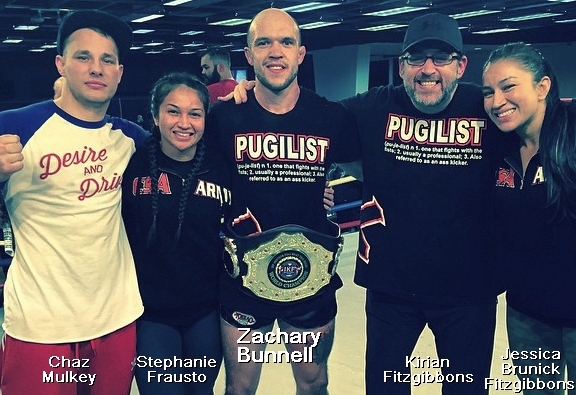 BOTH FIGHTER'S NEED TO HAVE THEIR AMATEUR FIGHTER CONFIRMATION FORM : CLICK HERE. 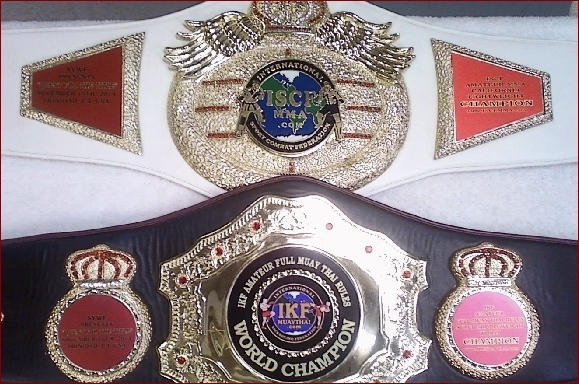 (**) ISCF cannot find ANY PROOF on the web of any MMA bouts for either of these fighters. 11-12-14: UNLESS Sophal Nhep Can Send To IKF BY WEDNESDAY, NOV 12th at 5PM, An IKF PAST BOUT HISTORY /EXPERIENCE FORM - CLICK HERE. Sophal Nhep NEEDS TO HAVE A FULL PHYSICAL: CLICK HERE. Sophal Nhep NEEDS TO GET IKF LICENSED: CLICK HERE. FIGHT RECORDS ARE VERIFIED - NO HEADGEAR REQUIRED. 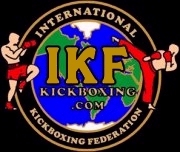 BOTH FIGHTERS HAVE FOUGHT UNDER THE IKF BEFORE AND THEIR FIGHT RECORDS ARE VERIFIED - NO HEADGEAR OR SHIN PADS REQUIRED. BOTH FIGHTER'S NEED TO HAVE THEIR AMATEUR FIGHTER CONFIRMATION FORM: CLICK HERE. BOTH FIGHTER'S NEED TO SUBMIT A FIGHTER INFO UPDATE FORM: CLICK HERE.